“On March 20th, the Spring Equinox 2012, the title music for Lucifer Rising and Other Sound Tracks will have its premiere and release. 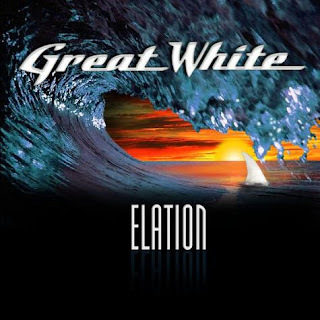 The title music, along with other musical pieces recorded at my home studio in the early seventies, have been revisited, remixed and released for the first time. “This is a musical diary of avant-garde compositions and experiments, one of which was to appear on the film Lucifer Rising. “The collection has been exhumed and is now ready for public release. This will be available exclusively on the website. The personally signed, deluxe edition costs £195 (approximately $300). The standard release is £20. 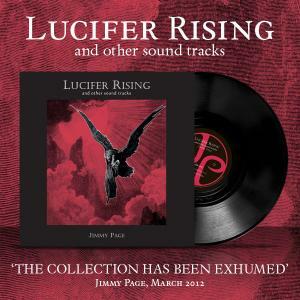 It's only available from JimmyPage.com, and you can pre-order HERE. love album cover art and we have some awesome covers today! "Here is the art provided by Bjoern Goosses of Killustrations designs. This man is a mastermind and highly recommended by us. Just something to look at until your hear the killer recordings! Stay tuned everyone, it's gonna be epic!" 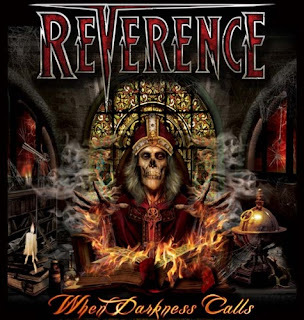 REVERENCE, the new power metal band featuring vocalist Todd Michael Hall (JACK STARR'S BURNING STARR, HARLET), guitarist Bryan Holland (TOKYO BLADE, ARREST), drummer Steve "Dr.Killdrums" Wacholz (SAVATAGE, CRIMSON GLORY), bassist Frank Saparti (TOKYO BLADE, OVERLOADED, MINDCANDY), and lead guitarist Pete Rossi, is currently mixing and mastering its debut album, "When Darkness Calls", for a late April/May release via Razar Ice Records. 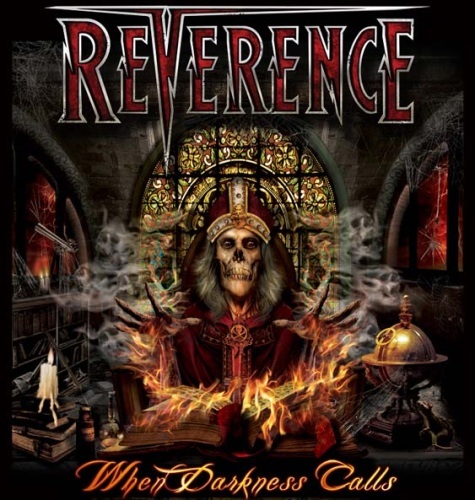 The CD cover artwork was designed by renowned artist Jobert Mello of Sledgehamer Graphix (PRIMAL FEAR, SABATON, HYSTERIA). San Diego extreme metallers CATTLE DECAPITATION will release their new album, "Monolith Of Humanity", on May 8 (one day earlier internationally) via Metal Blade Records. 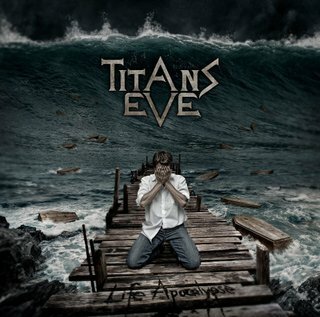 The highly anticipated follow -up to 2009's "The Harvest Floor" was produced, engineered, mixed and mastered by Dave Otero of Denver's Flatline Audio. According to a press release, "the humans of earth can expect a much more updated production complete with some surprising guest appearances and the kind of musical exploration that gained the band even more fans with 'The Harvest Floor'. Once again CATTLE DECAPITATION gives us more extravagantly intense artwork from artist Wes Benscoter and the CD/LP layout are as over the top as the album's concept itself." 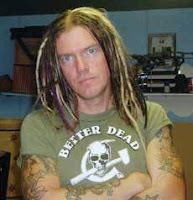 Jonathon Freeman-Anderson of Music-News.com recently had the chance to talk to Dizzy Reed, keyboard player for Guns N' Roses since 1990. Guns n’ Roses is perhaps one of the most well known 80s rock groups of all time. Despite a tumultuous history and an extraordinarily long time between albums, the band fronted by Axl Rose continues to play on. Cycling through a number of musicians, the current line-up has almost completely changed except for two men, the aforementioned Rose, and keyboardist, Dizzy Reed. A band member since the 1990s Use Your Illusion record, Reed is the longest standing and only member of Guns N' Roses besides Axl to have played along with the original line-up. Since then, Reed has been a guest artist on almost every former member of G N’ R’s solo work while also maintaining his post with Axl. 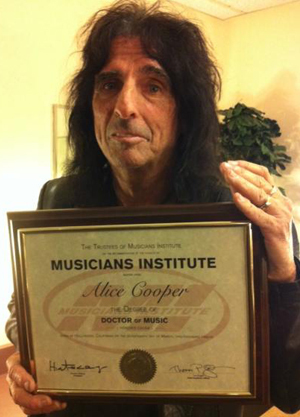 Reed has sustained a consistent rock n’ roll lifestyle for over 25 years and this year, Reed will be inducted into the Rock n’ Roll hall-of-fame for his work with Guns n’ Roses. In 1958, Tom and Jerry released "Our Song" on the Big label, their third single release. On later recordings they used their real names, (Paul) Simon & (Art) Garfunkel. Also in 1958, During his only UK tour, Buddy Holly played two shows at the Regal Cinema in Hull, Yorkshire. Also on the bill, Gary Miller, The Tanner Sisters, Des O'Conner, The Montanas, Ronnie Keene & His Orchestra. In 1962, Bob Dylan’s debut album Bob Dylan was released in the Untied States. Initially poor sales led the record to be known around Columbia Records as ‘Hammond's Folly’ (John Hammond was producer of Dylan’s early recordings and the man responsible for signing Dylan). The album was praised by the New York City weekly newspaper Village Voice as an ‘explosive country blues debut’, but featured only two Dylan original compositions, Talkin' New York and Song To Woody, the rest being old folk standards. In 1962, at RCA Studio B in Nashville, Elvis Presley recorded "Just Tell Her Jim Said Hello," "Suspicion" and "She’s Not You." In 1968, the Jimi Hendrix Experience played two shows at The Capitol Theatre, Ottawa, Canada. Also in 1968, Donovan traveled to India to study transcendental meditation under Maharishi Mahesh Yogi. In 1974, Jefferson Airplane re-named their group and became Jefferson Starship. The new lineup included Paul Kantner, Grace Slick, Johnny Barbata, David Freiberg, Peter Kaukonen, Cragi Chaquico and Papa John Creach. In 1975, Ken Russell's film of the Who's rock opera "Tommy," starring Oliver Reed, Ann-Margret, Jack Nicholson, Elton John, Eric Clapton, Tina Turner, and the Who, had its world premiere in New York City. 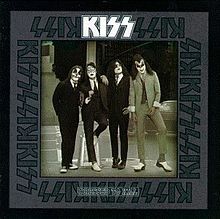 Also in 1975, the third album from KISS, 'Dressed to Kill,' was released. In 1976, Paul Kossof guitarist with Free and Back Street Crawler died aged 25, of heart failure during a flight from Los Angeles to New York, Kossof had a long history of drug abuse. Free had the 1970 UK #2 & US #4 single "All Right Now." His first band was Black Cat Bones alongside drummer Simon Kirke, (later of Free), formed Back Street Crawler after leaving Free. In 1978, Billy Joel made his UK live debut at London’s Dury Lane Theatre. In 1980, Elvis Presley's autopsy was entered into evidence as the Tennessee Board of Medical Examiners conducted a hearing into the professional conduct of Dr. George Nichopoulos. Although it was argued that he repeatedly tried to cure Elvis of his addictions, the doctor was later found guilty of overprescribing the drugs that led to Presley's death, and his license to practice medicine was revoked. In 1981, the J Geils Band were at #1 on the US singles chart with "Centrefold." 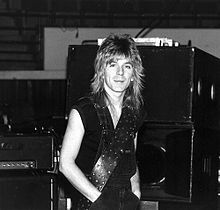 In 1982, Ozzy Osbourne's rhythm guitarist and former Quiet Riot member Randy Rhoads was killed when the plane he was riding in crashed. After driving much of the night, the band had stopped near a small airstrip. The tour bus driver, Andrew Aycock, talked the band's keyboardist, Don Airey, into taking a test flight in a '55 Beechcraft Bonanza, the joyride ended, and the plane landed safely. Then Aycock took Rhoads and Rachel Youngblood on another flight and attempts were made to "buzz" the tour bus. The left wing clipped the bus, which sent the plane spiraling into a nearby house and bursting into flames. All three bodies were burned beyond recognition, and were identified by dental records. In 1985, Spin Magazine began publication. In 1988, construction began on Michael Jackson's 2,800-acre ranch and private amusement park in Santa Barbara, California. He named it "Neverland" after a fantasy location – where children never grow up – in his favorite book, "Peter Pan." In 1996, The second Beatles Anthology series was released. The album featured 'Real Love', a track the remaining members of the Beatles recorded using an old demo track of John Lennon's. The song was first recorded by Lennon in 1977 with a handheld tape recorder on his piano at home, it originated as part of an unfinished stage play that Lennon was working on at the time entitled "The Ballad of John and Yoko." In 2005, 50 Cent became the first solo artist to have three singles in the U.S. Top 5. “Candy Shop” was at #1 with “How We Do” by The Game, (a member of his G-Unit group) at #4 and “Disco Inferno” at #5. In 2006, Shakira was set to become the first pop star to release a single only in the form of a mobile download. The singers forthcoming release 'Hips Don't Lie' would not be issued in the US as a CD or as a download via the internet but would be available to phone users connected to Verizon. In 2007, soul singer Luther Ingram died from a heart attack at the age of 69. Ingram scored the 1972 US No.2 hit '(If Loving You Is Wrong) I Don't Want to Be Right' and wrote the Staple Singers' hit 'Respect Yourself'. In 2009, eighties pop fan Justine Thompson was ordered to pay more than ‘1,040 for repeatedly playing The Cure’s 'Boys Don’t Cry' at full blast. Thompson aged 31, had also belted out 'Geno' by Dexy’s Midnight Runners and The Smiths 'This Charming Man' so loudly it shook flats around her home in Brighton, a court heard. City magistrates found her guilty of ignoring a noise abatement notice. Today, Record Store Day organizers around the globe announce the official RSD releases for 2012. The US list will be coming later in the week, as well as the lists from France, Germany and the Netherlands, but we’ll be kicking it off from the UK in high style with Record Store Day’s first ever live Press Launch Event, starring PiL and Orbital LIVE FROM A SECRET LOCATION IN LONDON! The UK press had to get a special invitation to attend, but we’re inviting all of you—just tune in here on Monday at 2 PM (Eastern) for the start of an event which will feature not only the UK releases, but also a DJ Set from ORBITAL and a LIVE PERFORMANCE from the reunited PUBLIC IMAGE, LTD.